A festive floral favourite with 40 beautiful roses expertly hand tied by our talented florists. A bouquet perfect to send for Christmas. Included is a Limited Edition bear named George who is looking for a loving home this Christmas. 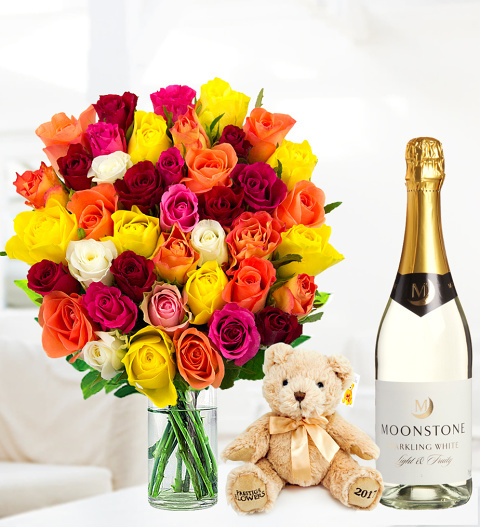 Also included is a very delicious bottle of Sparkling Moonstone wine 75cl and a FREE box of Valley Chocolates.